Ahead of the general election on 8 June 2017, Jeremy Corbyn has proposed to give the UK four extra bank holidays on each nation’s patron saint day. But what impact does that have on workers and employers in the UK? Current Bank Holidays: Firstly, it’s important to note that although there are eight bank holidays in England and Wales, there is no statutory entitlement to time off (paid or otherwise) on these holidays. Whether someone can be required to work on a public holiday will usually depend on their contract. In many industries or occupations (such as retail, travel or emergency services), working on public holidays is a business necessity. Current Annual Leave: Despite this, we do have a statutory annual leave entitlement of 5.6 weeks (which equates to 28 days). Employers can choose whether the eight bank holidays are included in this annual leave or additional to it. 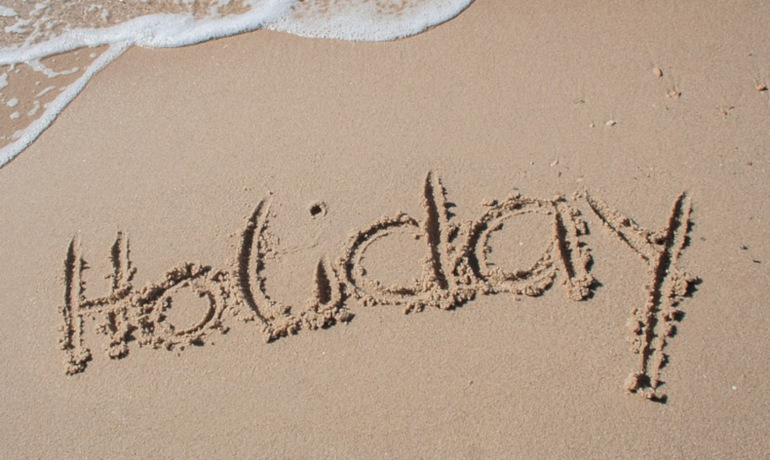 Often in the UK, employers give paid holiday on bank holidays in addition to ‘base’ holiday, for example 25 days’ holiday, plus the eight bank holidays (resulting in a total of 33 days) is quite common. In addition, some staff get paid at a premium for working on a bank holiday. What do other countries get? Jeremy Corbyn’s reason for proposing extra bank holidays is based on Labour’s conclusion that the UK has fewer bank holidays than other G20 countries. However, it’s actually very difficult to work out exactly what public holidays other countries get compared to us. Some countries have separate statutory and non-statutory holidays, or separate national, regional or religious holidays. Furthermore, countries have different rules around public holidays: some do not make up for public holidays that fall on rest days or weekends by allowing another day off on another working day; and some workers do not get to take bank holidays anyway depending on the type of work they do; some public holidays are one-off events (such as royal marriages). For example, bank holidays in Scotland and Northern Ireland are easy to compare with England and Wales, as their rules are the same: Scotland gets 9 days and Northern Ireland gets 10. If a bank holiday falls on a weekend, a ‘substitute’ weekday becomes a bank holiday, normally the following Monday. In Hong Kong, workers get a generous 17 public holidays, 12 of which are “statutory holidays” and compulsory for employers to give to workers. If a statutory holiday falls on the worker's rest day, the employer is committed to giving a day off-in-lieu at a following day which isn't the worker's rest day. Non-statutory public holidays however, are lost if they fall on a weekend, and if on a weekday, employers can still require staff to work without salary or leave compensation. India is also very different, in that there are only three national holidays, but there are dozens of festivals of various faiths and separate regional days. This means that depending on your religion you could end up with around 21 public holidays. This means that despite the few national holidays, workers in India potentially benefit from the greatest number of public holidays in the world. Similarly, in Germany, typically there are 9 public holidays, but due to variations between states some workers can receive up to 13. Holidays that fall on a weekend are not observed on a weekday instead. It is also more meaningful to look at public holidays together with annual leave entitlements as these together form a worker’s rights. For example, the United States Government provides 10 federal public holidays, and many states provide additional public holidays to workers. However private employers are not obligated to allow their workers to take these days off, and there is also no right to any annual leave in the US. It is up to employers whether to grant annual leave to workers, and where granted, it is usually far less than the UK’s 28 days. In fact, the UK has one of the most generous statutory annual leave entitlements anywhere in the world (apart from France). Firstly, it is important for an employer to consider commercially how the impact of bank holidays and annual leave entitlements may affect its business and to plan accordingly through terms in workers’ contracts and through policies around taking leave. Furthermore, how many bank holidays a worker gets can be very important when calculating annual leave entitlements. When dealing with the overseas movement of workers, it is important to offer comparable leave entitlements, and when employing people abroad, it is important that employers offer competitive holiday entitlements in order to ensure offers are attractive to prospective workers.